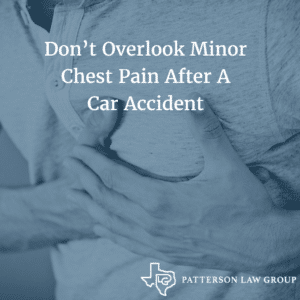 If you suspect you have chest injuries caused by a car accident, get checked out by a doctor because there could be underlying issues like internal bleeding, torn cartilage, or organ damage even after the chest pain subsides. Seat belts save lives in a car accident, but they can also cause chest injuries. During a collision, the seat belt restrains the vehicle’s occupants from moving around, leading to abrasions, bruising, fractures to the sternum, and internal injuries. If you suspect a seat belt is the cause of your pain, see a doctor immediately to look for underlying injuries. After a car accident, the early symptoms of seat belt injuries are bruising and a sensation of tenderness where the seat belt made contact with the chest. In a more violent crash, there will be visible seat belt marks across the chest and abdomen, indicating serious or fatal internal injuries. Here is what happens when you have a minor chest injury resulting from a car accident: When you move your shoulder, arms or torso, you may feel pain in your chest wall. Likewise, you may experience chest pain when you sneeze, cough, breathe deeply or lie on your stomach. Even if you don’t think your chest pain is serious and you experience only slight soreness in the area, see a doctor to be sure your injuries are not more serious than you suspect. Fractured (broken) ribs are a common result of car accidents and seat belt injuries, and the driver faces even more danger because the chest will hit the steering wheel during a collision. If you have a broken rib, you’ll know it by the excruciating sharp, shooting pain in your chest. If you injured your sternum, sometimes called the breastbone, you can expect to feel severe pain at the impact site and extreme tenderness in the surrounding areas. Be advised that a sternal fracture requires immediate attention because it indicates possible rib fractures and internal injuries, and because an injured sternum affects your spinal cord. Bruising: A moderate impact can cause a bruised sternum or ribs, characterized by dull aches and pains that affect you periodically. Straining: You may feel your chest muscles strain when you breathe after a car accident, which is understandable, but it doesn’t mean you can forgo X-rays and medical tests. After a car accident, you should seek medical help if you suffer a chest injury, whether it was caused by the seatbelt, steering wheel, or dashboard. 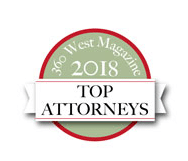 But you need to find legal help just as quickly, and a reputable law firm like Patterson Law Group will help you obtain the best medical care, as well as the best legal representation. 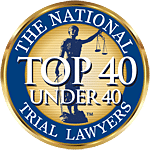 Your monetary compensation will depend on the extent and severity of your chest injuries, your medical bills, and any loss of income due to the accident. 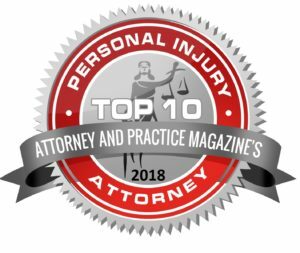 Patterson Law Group has the experience to make sure you get fair compensation for your injuries. When you work with us, you’re more than just a case number. 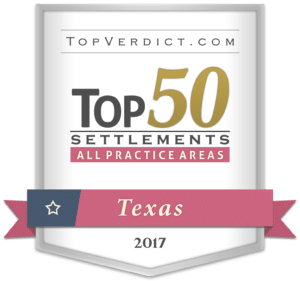 We care about earning you the justice you deserve and we take great pride in our results. Call today for a free appointment and let Patterson Law Group help you get back on your feet.